Big Brother Naija Eviction: End Of The Road For ‘Pritto’ And ‘Vandee’! The first live eviction for the BBNaija Double Wahala edition has happened, and unlike BB’s occasional ruse, this one was for real. Sunday night was an eye-opening and emotional one for the show housemates as they had to bid their final goodbye to the pair, Pritto, comprising of Princess and Bitto, and Vandee, Vandora and DeeOne. While many viewers could already tell that it was the end of the road for the Pritto pair, it was a bit of a shocker to have seen Vandee go as nobody expected they would leave the game so early because Comedian DeeOne particularly had bragged about executing a finely worked-out strategy. However, which of these pairs didn’t deserve to go, and which other housemates pair that escaped eviction do you think should have gone? Watch the eviction review video below and comment your thoughts. 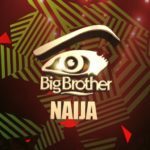 “Big Brother Naija Eviction: End Of The Road For ‘Pritto’ And ‘Vandee’!”, 5 out of 5 based on 1 ratings. 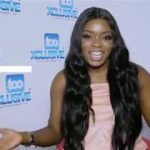 Big Brother Naija: Khloe And K.Brulé Disqualified, Miracle And Nina Caught In The Act?